It’s no secret that the world is going digital, and the Internet of Things (IoT) is one of the most powerful forces behind this transition, sweeping up almost everything – from utensils to global supply chains. Baltic Transport Journal spoke with ORBCOMM’s Michael Dempsey (VP Container and Port Solutions), Christian Allred (VP International), and Sue Rutherford (VP Marketing) about the changes that have already become a fact of life, as well as the opportunities and threats that emerge from this new wave of technological advancement. 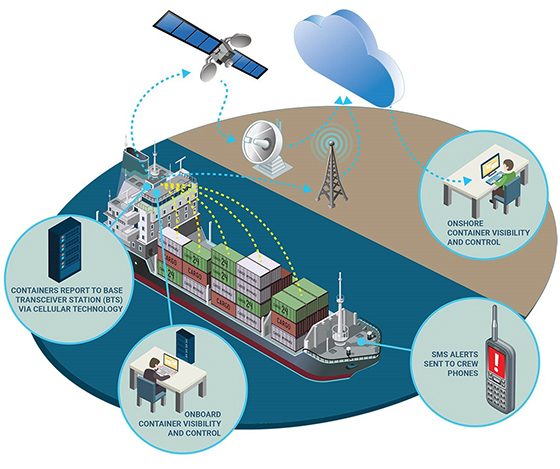 One example of IoT supply chain innovation is ORBCOMM’s VesselConnect, which enables end-to-end visibility of refrigerated containers transporting temperature-sensitive, high-value cargo at sea.